We had visitors from New Zealand last summer. An old friend from university and his wife spent a few days in Istanbul, then we drove together down the Aegean coast to Bodrum via the towns of Çanakkale and Selçuk. On the way we stopped over to see the killing fields and cemeteries of Gallipoli, the ruins of ancient Ephesus, and the nearby house where, according to some, God’s virginal mother, Mary, spent her declining years. It’s always good to catch up with old friends, but I was especially delighted on this occasion because this couple came in defiance of dire warnings from the New Zealand Ministry of Foreign Affairs about the dangers of traveling to Turkey. We picked up our rental car from Atatürk Airport on Tuesday morning, 28 June, missing by a few hours the bomb attack that killed 45 people and injured 230 more. Blissfully unaware of our near miss, our friends went on to enjoy a fortnight of sightseeing and sailing before returning to Istanbul and flying out of the country on Friday 15 July. That evening, as we got ready for bed in our Bodrum retreat, Dilek’s daughter called from the USA to inform us that a military coup was under way in Istanbul and Ankara. Infantrymen in First World War trenches believed that an incoming artillery shell would, or would not, have your number on it. If it did, your number was up, your name would be inscribed on a war memorial and your mortal remains, if they could be found, interred with appropriate military ceremony. As the years go by, I find myself increasingly willing to adopt that fatalistic view of life and death. On 22 February 2011 a 6.3 magnitude earthquake caused widespread damage to the city of Christchurch in New Zealand’s South Island. 185 people lost their lives, 115 of them in the collapsing six-storey Canterbury Television building. Among the victims was a young woman from Çanakkale in Turkey. Didem was on a post-graduate scholarship to study international relations at Otago University. That weekend she visited a friend in Christchurch and while in the city, saw a doctor at his surgery in the CTV building. What can you say? Avoid visiting New Zealand, and in particular, stay away from Christchurch? Dilek and I have just returned from a trip to visit family in New Zealand and Australia. We had a marvellous time with my sisters, children and grandchildren. The weather was delightful, and a welcome break from the cold of a northern winter. The last stage of our journey took us to Melbourne where my daughter lives with her partner and two small sons. On Thursday, 19 January we took a tram to the central city, alighting in Bourke Street and strolling down to the Yarra River. We spent some time munching hamburgers, watching tennis in Federation Square and wandering along the riverbank, enjoying some free entertainment with the little ones. The next day, as we were packing for our return home, a young man drove his Holden Commodore at speed into a crowd of pedestrians in the Bourke St mall, killing five and injuring twenty others. Stay away from Melbourne? Where can you go these days, I ask you? Still, one comforting thought did come out of the Melbourne tragedy. Police spokespersons were quick to assure us that the killer was not a terrorist. Victorian Police Chief Commissioner Graham Ashton said the man “had no links to terrorism”. Acting Commander Stuart Bateson was able to “confirm that this is not a counter terrorism-related incident.” Whatever that means. The best reason I could come up with was that the guy seems to have been of Greek extraction, and therefore, we gather, not a Muslim. Which makes it better, I guess. It was just a random act of gratuitous violence, rather than another manifestation of the global Islamic assault on Christendom. Then again, I don’t know. I’m not in any way justifying the slaughter of innocent people by fanatics pursuing a political or religious agenda – but I can at least understand where they are coming from. They believe in something greater than themselves, and they are prepared to die for it. One of my all-time favourite movies is the 1996 historical biopic, “Michael Collins”, starring Liam Neeson as the Irish revolutionary hero who brought the British Government to the negotiating table and paved the way for the foundation of the modern independent Republic of Ireland. According to his Wikipedia entry, Collins “directed a guerrilla war against the British”, creating “a special assassination unit called ‘The Squad’ expressly to kill British agents and informers”. Collins ironically died at the hands of Irish nationalist assassins during a bloody civil war fought over the conditions of independence from Britain. The first president of the Irish republic, Eamon de Valera, is on record as saying “It is my considered opinion that in the fullness of time history will record the greatness of Michael Collins; and it will be recorded at my expense.” Without Collins and his campaign of violence, Irish independence might never have been realised. Conventional history, however, prefers to remember de Valera, and play down the role of Michael Collins. Am I making a case for violent rebellion against one’s lawful government here? By no means! But an important question arises here. To what extent was the British Government in the early 20th century the lawful government of the Irish people? Even peaceful protestors campaigning for Irish independence could be convicted as traitors and executed, or taken out in extrajudicial killings reminiscent of today’s US drone strikes. Proponents of Irish independence had found that peaceful protest got them nowhere, and confronting head on the might of the British Armed forces led inevitably to bloody defeat. They turned to asymmetrical guerrilla tactics, and their cause was successful. One might argue there are parallels here with the plight of Muslim countries in the Middle East. Ever since oil emerged as the world’s most important energy source, Britain and the United States have been forcibly interfering in the internal affairs of countries with large reserves of the black gold. Regimes friendly to Western interests have been installed and supported while others choosing to pursue their own national interests have been overthrown, their leaders ousted or killed. George W Bush’s invasion of Iraq massacred tens of thousands, and left a power vacuum where chaos reigns thirteen years after the execution of bad guy Saddam Hussein. That other bad guy, Muammar Gaddafi was killed and his regime toppled by NATO forces in 2011. Since then, Libya too has descended into political and social chaos. Nevertheless, Nobel Peace laureate, Barack Obama, authorized B-2 bombing strikes on Libya last week, just days before his term in office ended. Are you surprised to learn that Libya has the largest proven oil reserves in Africa, and ranks 9th in the world? Again, I’m not supporting Daesh operatives beheading innocent Western journalists – but where do you think they got the idea for those bright orange overalls? So who’s representing that bottom 50%? And are we surprised that most of them don’t even bother to vote? The left wing revolution in the West has been bought and sold – but those “random acts of violence” carry an underlying message those countries’ leaders would do well to heed. And their privileged citizens should beware of the complacent self-righteousness that allows them to ignore levels of anger in other lands. 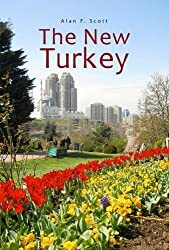 I keep getting warnings from my compatriots at the NZ Embassy in Ankara advising me to avoid traveling to Istanbul if it’s not absolutely necessary – Well actually I live here, what can I do? “From the terror attacks in Nice, France to the ongoing spread of the Zika virus, the past year has been a dizzying one in terms of violence and disease outbreaks throughout the world. These factors, among others, increase the likelihood travelers will be required to stay up to date on travel safety advisories. Using 2016 data from the Canadian government and The Global Health Data Exchange, HealthGrove, a health visualization site by Graphiq, created an ascending list of the most dangerous countries to travel to. and, coming in at No.33 . . . France – Interesting! 94. Turkey – See? Not so bad, huh? And they don’t mention earthquakes in New Zealand or police violence in the United States.